Allahabad, Apr 25: A sanyasi from the ‘Dalit’ community will be designated as “Mahamandaleshwar” of the Juna Akhada for the first time in the history of this largest organisation of the sadhus. 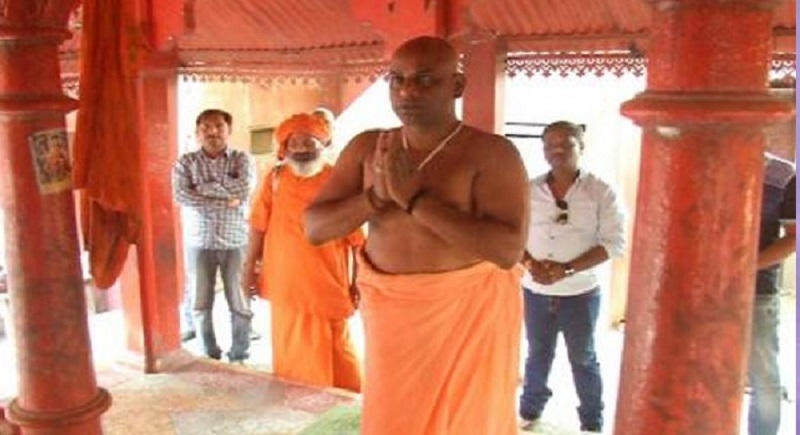 According to media reports, the 32-year-old Shivanand Giri, who was known as Kanhauya Kumar Kashyap before being ordained into the Juna Akhada order of sadhus, will be designated as Mahamandaleshwar soon. Juna Akhada is considered to be the largest and oldest order of mendicants in India and elevation of a Dalit sadhu to this high position of Mahamandaleshwar is seen as a revolutionary step. He will be designated to the post at 2019 Kumbh. His ‘diksha’ ceremony was held on Tuesday and he was rechristened as Kanhaiya Shivanand Giri. However, this is not the first incident when a Dalit religious scholar was ordained in the Akhada order. The Niranjani Akhada has also given diksha to a Dalit and included him in its higher echelons during the Ujjain Kumbh mela. Inclusion of Shivananda in to Juna Akhada hierarchy is significant and marks the positive turn in the life of an individual who was earlier denied entry into the temples or barred from learning Sanskrit due to his caste. Undeterred, he earned a “Jyotishacharya” degree from Chandigarh-based Bharatiya Jyotish Vigyan Kendra before joining Juna Akhada. Juna Akhada follows the sanyasi tradition and is more inclusive than many akhards on caste issues. Apart from Shivanand, two others were given “diksha” by Juna Akhada on Tuesday — Renu Sharma, who has been rechristened Sadhvi Durga Giri, and Amit Joshi, who will now be called Swami Tufan Giri. While the former was a student of music at Allahabad University, the latter has been associated with RSS and Akhil Bharatiya Vidyarthi Parishad. Shivanand rose swiftly through the ranks and was given the title of “Gosain” in 2016. Talking about his journey, Shivanand said that the authorities of Sanskrit Pathshala refused him admission as he was not a Brahmin, but he was determined since there aren’t any saints or gurus from his community.